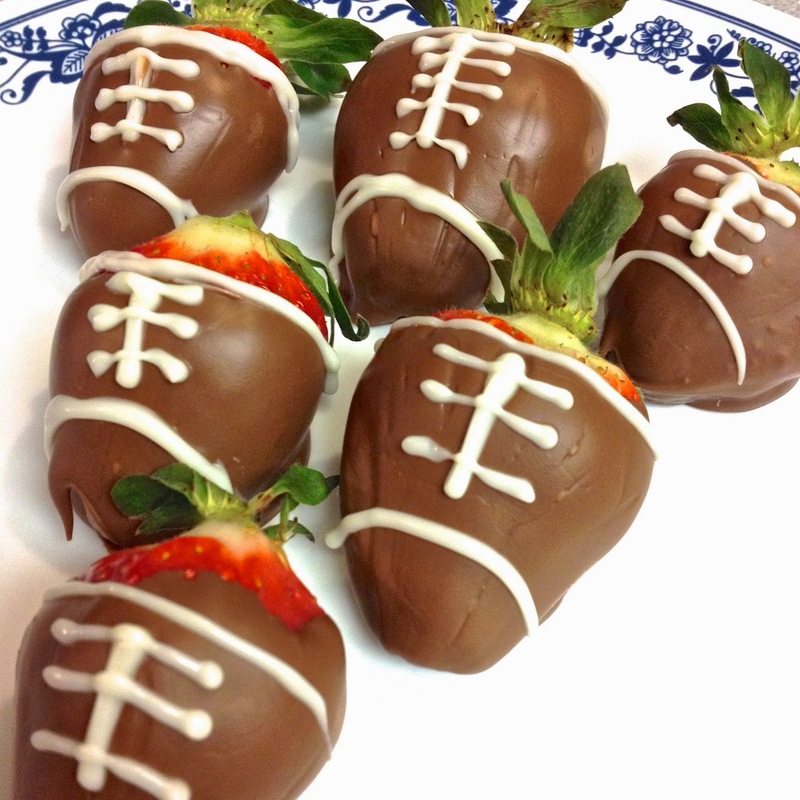 In honor of my alma mater's first football game of the season tomorrow, I wanted to share my chocolate covered strawberry footballs. They are as delicious as they are cute and festive. GO HOKIES!! Wash and dry strawberries. Make sure strawberries are at room temperature before dipping! Heat semi sweet chocolate chips in a microwave safe mug (this was better than a bowl since it was deeper) then carefully dip the strawberries and place them on the parchment paper to harden. Once the chocolate has hardened, melt the white chocolate candy melts in the piping bag. Carefully remove from the microwave and pipe the football laces onto the strawberry. Let chocolate dry, then serve and enjoy!